We might have been quiet on our blog as of recent but we have been rather busy these past weeks. 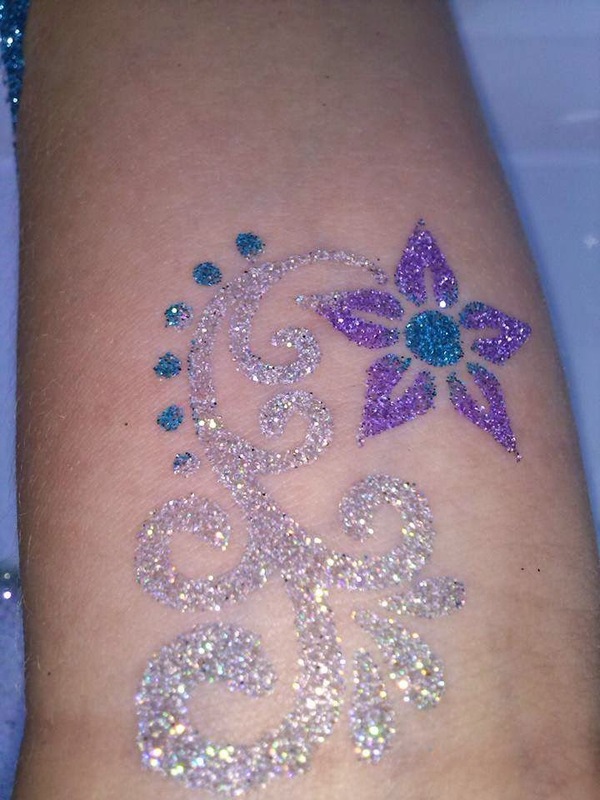 Lots and lots of fun and glitter tattoos for the sparklingexpressions family. The end of Spring had us going to many end of school year functions to help celebrate the end of the year and kick off a fun summer. Even a School fundraiser or two. We have had an amazing time meeting everyone and seeing all the happy faces at each school event we've been too! With our glitter tattoos being such a hit we decided to open up a new fan page on facebook just for the glitter tattoos! Drop by and take a look at some of the cool glittery fun thats been had. Another fun event that we've been too recently was the yearly Fairies in The Park event where the St Lawrence Park becomes a fun filled world of fairies, fairie folk, glitter and magic. This event is held yearly in Brockville Ontario on June 21st, and what an amazing and fun day that was. The weather could not have been any better and the park was filled with so many smiling faces! Here is a picture of one of those smiling faces! if you missed the 3rd installment of this event then make sure to book that day for next year. It keeps growing and getting better each year. Fairies in The Park by New Leaf Wellness.